Happy Friday loves! 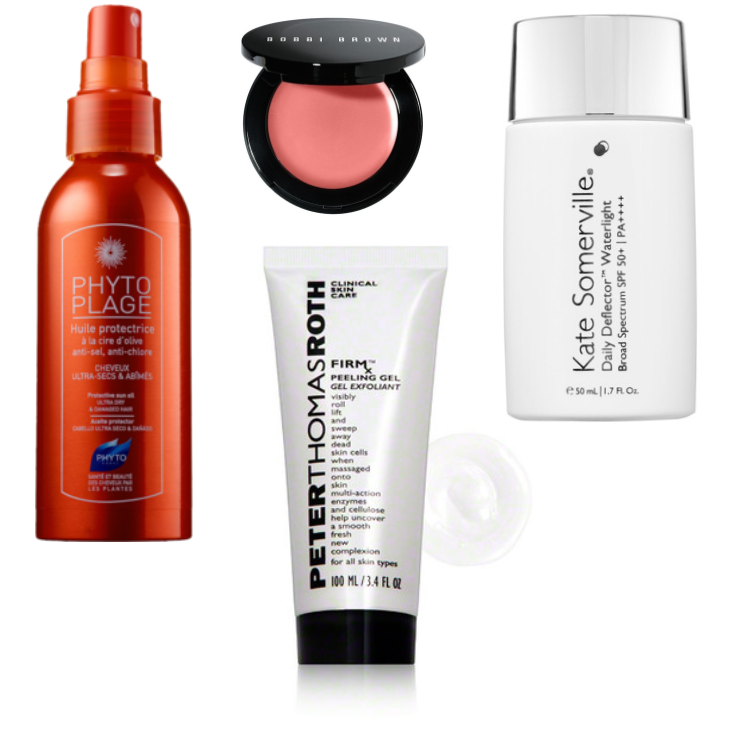 Spring is definitely in the air and that means a major refresh of the beauty closet. Today I'm sharing my latest beauty loves that are everything your hair and skin crave during these warmer, sun-filled months ahead. First in any beauty regime is cleansing your skin in the most thorough yet gentlest way possible. The latest tech gadget that's caught my eye is the Foreo Luna. This handheld cleansing device, much like the Clarisonic before it, rids your face of any and all makeup, debris and pollutants of the day as it sweeps the pores clean and makes way for the more efficient absorption of all your beauty routine products. But happily, the benefits don't stop there. The Foreo also has an anti-aging mode that uses direct lower-frequency pulsations that, when applied to wrinkle-prone areas, reduces visibility of fine lines and wrinkles and brings you firmer-looking skin. Now that's what I call workin' for ya! Sunscreen is also something that, if you don't already use faithfully (aka daily), you need to make a part of your everyday face routine. Sun exposure (not just the kind you get from a day at the beach but the type you get driving in your car or sitting at your desk) is one of the biggest factors toward premature aging. Keep your skin smooth and youthful with a great physical block like this one from Kate Somerville. Hair needs UV protection too and nobody does it better than Phyto. Don't go out without it! Soft colors (like these from Essie) and rosy lips and cheeks (a la Bobbi Brown's pot rogue) say springtime pretty. Oh and one more thing I just cannot forget to mention is THIS scrub by Peter Thomas Roth. Rich in enzymes and natural dead skin slougher this peeling gel exfoliant is the absolute best one I have ever tried and I've tried a lot!! Please don't miss it…your baby bottom skin will thank you! 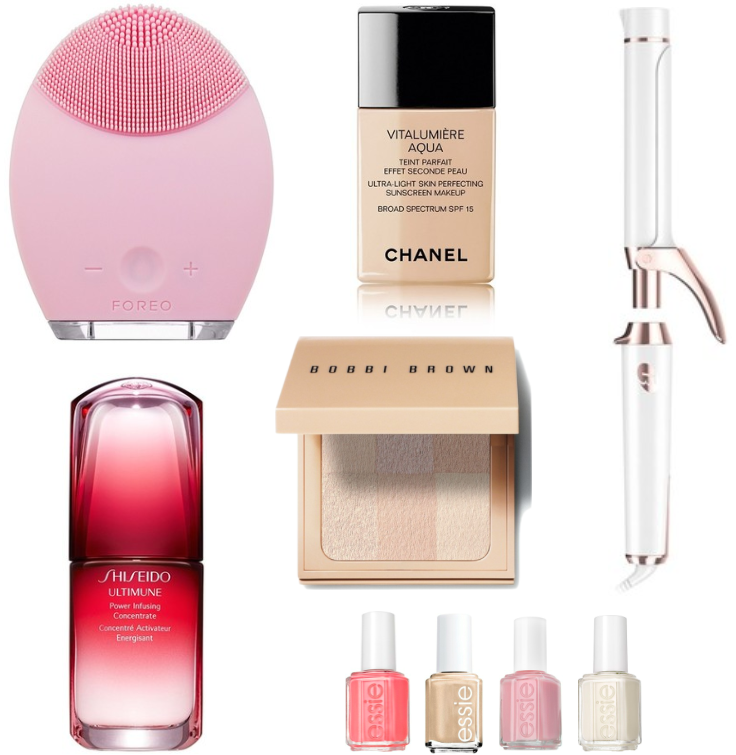 My other spring beauty must-haves are all linked below and are more than worth a try. Hope you enjoy them half as much as me!